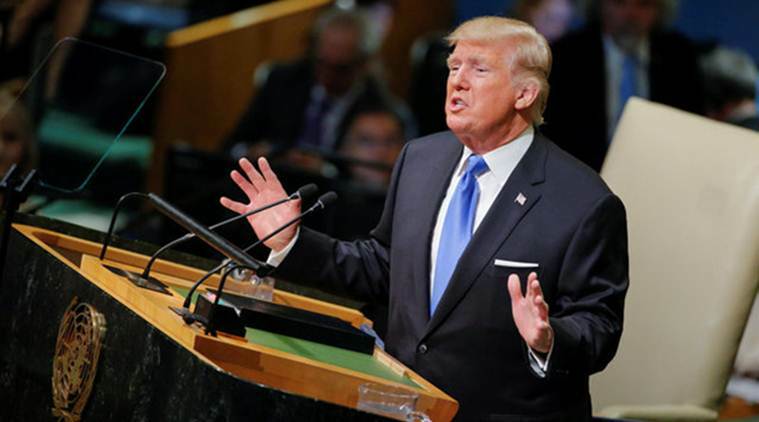 Speaking from the green-marbled dais he had once mocked as ugly, Mr Trump’s fury was largely directed at the “depraved” Pyongyang and its despotic leader Kim Jong-un whom he referred to as the Rocket Man on a suicide mission. “No one has shown more contempt for other nations and for the wellbeing of their own people than the depraved regime in North Korea,” he said. Mr Trump, who got elected in November last year on America First plank, vowed to “totally destroy” North Korea if it didn’t abandon its nuclear weapons programme.